So I had the idea for this environmental maternity portrait session at the beach before she was even expecting. I told my dear friend Jen that if she was to have another little one we needed to get an awesome dress and photograph her at the beach. She had just had a little miracle baby girl at the time and thought for sure her pregnancy days were behind her. When she called and told me she was expecting again I asked what color I should order the dress in. I was not going to wait too late or let her change her mind. It wasn’t until later we realized her perfect pregnancy portrait opportunity window fell in the dead of winter. We planned this beach maternity portraits session for late February as late as we were comfortable waiting. I know she loves me because she was very pregnant and very very cold. I mean she was all in too and I love her for it. She had hair and makeup done that morning. I think it is important for all moms to be pampered and feeling their most beautiful before a maternity session. Doesn’t she look gorgeous? I think she always looks beautiful. It was so amazing to hear how these images made her feel that beauty after she saw the proofs. I love being able to capture life’s miracles for my clients and friends. Showing them how beautiful they are during these life changing times makes my job even more fulfilling. Two of these images, one from the beach and one of the wood scene I had digitally painted. When they are printed on watercolor paper or onto canvas they look just like a painting. I planned this portrait session with this painting art piece theme in mind. 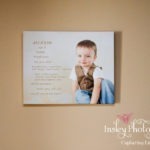 This is a new option for Insley Photography clients. I wanted to create dramatic images like these that will hang on my clients’ wall for years to come. This enhancement of my photographs will add to the look and feel of the photographic statement art pieces in your home. Thank you again Jennifer for helping me bring my vision to reality and being such a trooper in the freezing cold temperatures. Love you girl. Got in my new Canvas prints today. I love the new sample of my little man so I have to share with you all! This is a 16×20 fine art canvas print with an inch and a half stretch on the sides. I know you guys have seen this image before but I just loved it. So of course I had to print it on Canvas put it up for everyone to see. 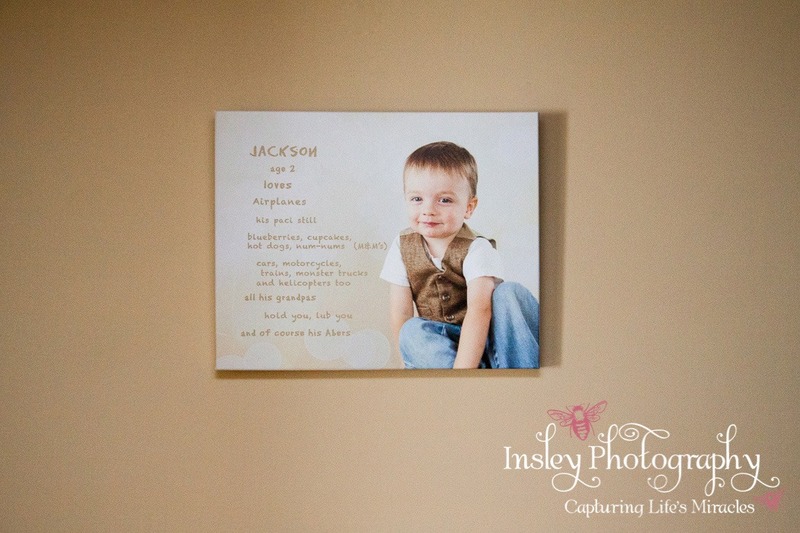 Canvas prints just take your everyday portraits to a whole new level. Nothing says fine art like a large canvas on your walls. 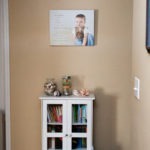 Call me today to discuss decorating your home with beautiful portraiture that fits your needs.